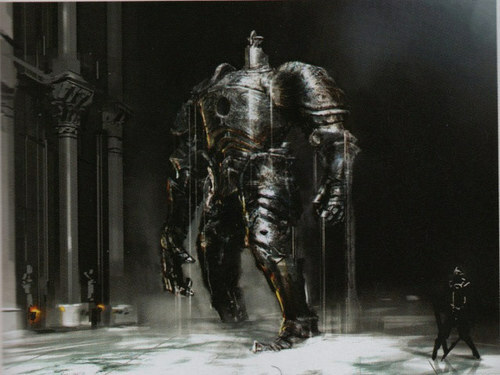 The Iron Golem was created by the gods to guard Sen's Fortress thereby denying access to any seeking entrance to Anor Londo. 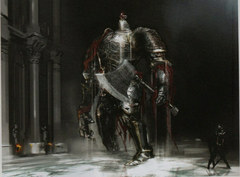 It has slain countless heroes in their attempts to reach the city of the gods. 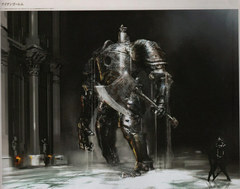 It consists of a massive set of heavy iron armour. 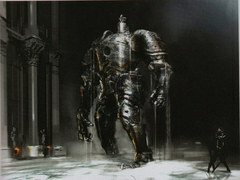 The core of the Iron Golem was created by the gods when they fused ancient dragon bones with the power of the soul. Without its core, the Iron Golem is just a hunk of armour. 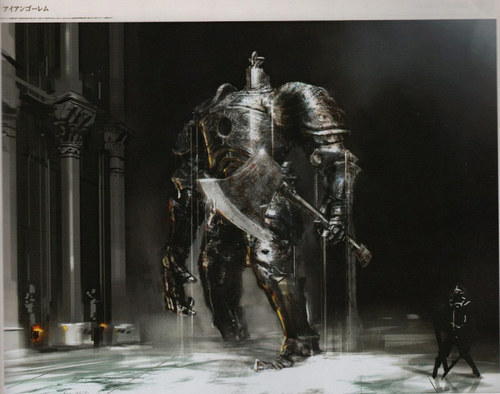 Both Tarkus and possibly Lautrec likely defeated the Golem, but by its very nature it can be reset, which is perfect for training with - the supposed purpose of Sen's Fortress. Head of the Iron Golem, guardian of the ancient Sen's Fortress, slayer of heroes who ventured forth to Anor Londo. 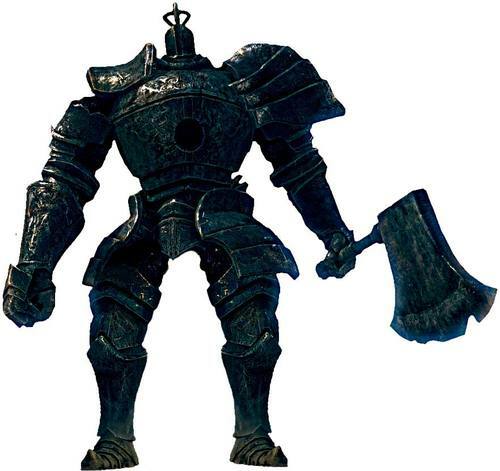 Without its core, it is a mere hunk of iron, and can be equipped as solid protective gear, but its immense weight hinders stamina recovery.